An Inflatable Champagne Bottle including an oversized Champagne Bottle that is approximately 30” in length – Ideal for any celebration! Celebrate in style with this stand out Inflatable Champagne Bottle. This Inflatable Champagne Bottle comes complete including a large oversized champagne bottle only. This Inflatable Champagne Bottle is approximately 30” in length, and will add the perfect finishing touch to any occasion. 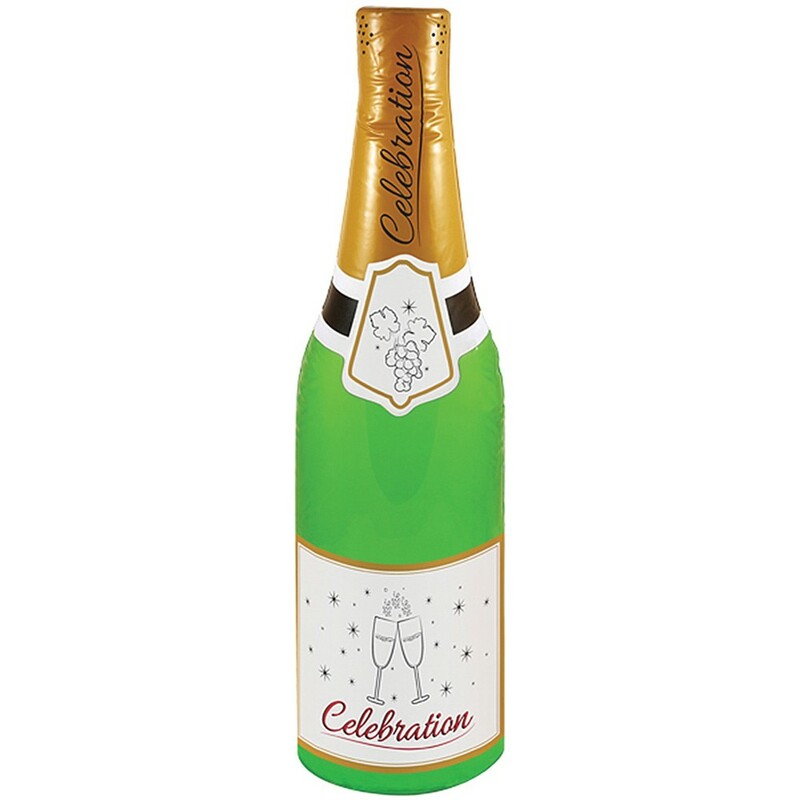 This Inflatable Champagne Bottle is easy to inflate with air and comes with a green, gold, and white pattern. An oversized Inflatable Champagne Bottle that is approximately 30” in length.